Mediterranean Energy Perspectives Morocco (MEP Morocco) is to provide a unique and comprehensive analysis of the energy sector in Morocco. It will provide insights into the energy situation today and over the next two decades in the country. This outlook will draw upon the extensive expertise of the OME and its members and will be prepared jointly with the Moroccan Fédération de l’Energie and with contributions from the Moroccan Ministry of Energy, Mines, Water and Environment . MEP Morocco will provide analysis, detailed data and a view on what the future might look like in the period to 2040. It will take a comprehensive look at the energy supply and demand balance for the major components of the energy sector. Current efforts related to renewable energy sources and energy efficiency will be carefully considered as they are key issues for the country’s energy sector and for its economic and environment future. Mediterranean Energy Perspectives 2018 (MEP 2018) will provide insights into the energy situation today and over the next two decades in the Mediterranean region. This will be the seventh edition in the MEP series, which highlights the extensive work of OME. This outlook draws upon the extensive expertise of the OME and its members. The objective is to provide a unique and comprehensive analysis of the energy sector in the Mediterranean. It will present data ranging from the early days of the region’s energy industry to the situation today and an outlook to 2040 based on OME’s supply and demand model, the Mediterranean Energy Model. Current efforts, related to energy security, and notably taking into consideration the COP 22 developments in regards of renewable energy sources and energy efficiency will be carefully considered as they are key issues for the Mediterranean energy sector and for the whole economic and environment future of the region. Within the OME/MEDENER and ADEME cooperation, a study comparing the Mediterranean Energy Transition Scenario and the targets defined in the Intended Nationally Determined Contributions (INDCs) was carried out by OME and presented at several side events at COP22 in Marrakech. The summary is available at GEM issue No.15, November 2016. Based on regional and national experts’ cooperation and input, the Mediterranean Energy Transition Scenario will be updated to include the INDCs and identified policies and measures thus providing a clear energy path and the tools to achieve it. In addition, the two brochures, one on renewable energy and another on energy efficiency in the South and East Mediterranean countries will be updated. Mediterranean Energy Perspectives Investment (MEP Investment) publication will quantify the energy investment needs in the region. This will be the sixth edition in the MEP series which highlights the extensive work of OME. The objective is to provide a unique assessment of the energy investment needs for all sectors and fuel types, for each country of the Mediterranean region. It will present data ranging from the situation today and an outlook to 2040 based on OME’s supply and demand model, the Mediterranean Energy Model. It will notably present the difference of investment for each of the energy scenarios, taking into account the specific investments for bringing more renewables and more energy efficiency to the energy mix. MEP Investment is prepared by a joint-team of OME experts supported by members through technical committees in addition to independent expertise. MEP Investment will be the first of its kind to provide comprehensive energy investment needs for the region. An essential tool for energy actors but also the financial community to better understand and quantify the stakes in the medium and long-term perspectives. 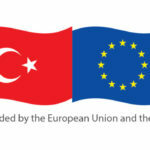 The overall objective of the project is to establish strong links and a high level cooperation between civil society in Turkey and EU Member States through civil society dialogue in the area of energy security as concerns electricity and gas in particular around the Black Sea and South-Eastern Europe.